Roswell is a northern suburb of Atlanta and is home to over 88,000 people. 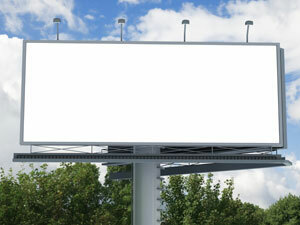 There are several major highways running through Roswell which allow for billboard ads. Billboards on Georgia 9, Georgia 92, or Georgia 400 can be an effective advertising opportunity. Also, notable shopping centers like Brannon Square Shopping Center and Crossville Village Shopping Center offer the options for local advertisements at relatively low advertising costs. The high traffic that these shopping hubs generate can be utilized with digital signage advertising as well. Additionally, Roswell has a fairly large tourism industry as it hosts many festivals as well as the largest Memorial Day Ceremony in Georgia. This tourism can be exposed to your more specific out-of-home advertising methods.